I’m going to get in a reference to monkeys on dirt bikes, and the original iMac in this one; and it’s all relevent. 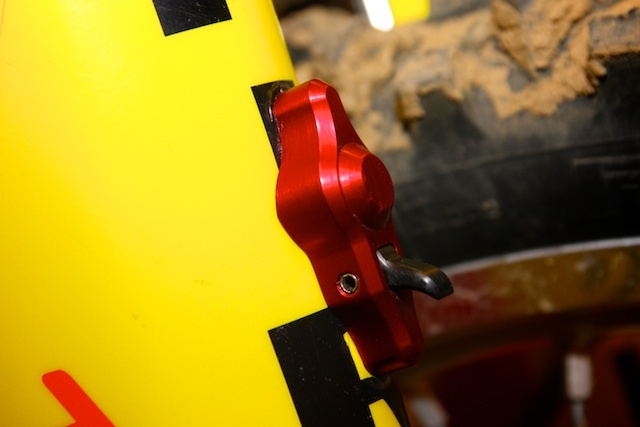 Holeshot devices have come in many iterations since they first appeared conspicuously on the first factory bikes. All serving the same purpose, the goal has always been the most simple yet effective design to handle the job. Enter the Works Connection Pro Launch Starting Device. 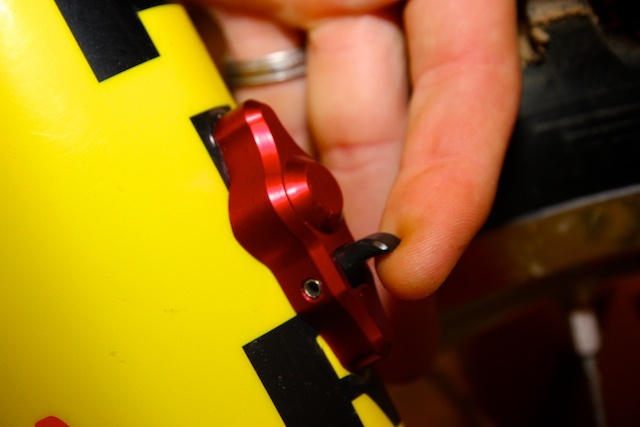 Long name, yup but don’t let it intimidate you, this is the most dead simple holeshot mechanism out there. From the packaging, instructions and activation; if a monkey had even one opposable thumb, the marsupials would be all over this kit(well, if they road dirt bikes anyway). 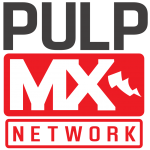 Sorry for the dirty Official PulpMX Test Bike®. 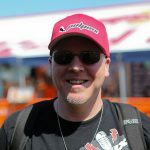 @pulpmx hasn’t been around to wash it lately. The Works Connection crew even includes a beautiful aluminum bit for drilling the oversize hole in the fork guard. I’ll likely never see another use for it but I’m keeping it just because it is a damn beautiful piece of machining. I’ve looked over the system after installation, which took only 20 minutes including plotting placement, fork guard and fork tube removal and reinstallation; and I’m still confused by how they got this system to work so reliably with no spring in the system at all. Granted, I’m no engineer but it’s a marvel to me. One of the big benefits of this device is the ease at which a person can set the launch device by themselves. That’s right, solo, uni-man, solitary, persona-no-friendsa. Sure, setting your own launch device at the track may be the ultimate evidence of your lack of like-ability but the fact remains, having the option to set it yourself(ridiculously easily even) is a great backup plan to have at your disposal. Simply stand as you do when walking your bike, roll forward, lean forward over the bars, squeeze the front brake lever and lift the actuator with your index finger to engage and set. It’s a lot like the old iMac commercial where Jeff Goldblum says there’s three steps to getting the new iMac online but then he realizes there are only two steps. The Works Connection Pro Launch Start Device is that simple. And that good. 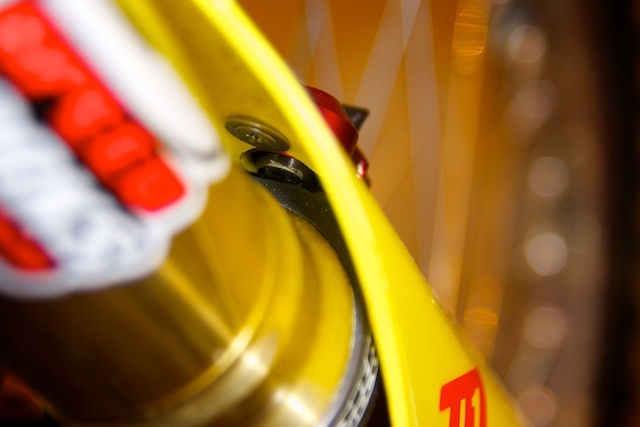 It’s good enough for Yoshimura Suzuki and the Hart and Huntington Teams, what more do you need? More importantly, how rad would it be if this season we saw Metty, Hanny, Tedesco, Hill and Partridge all setting their own Pro Launch devices at each round? Now that would be some great marketing there.